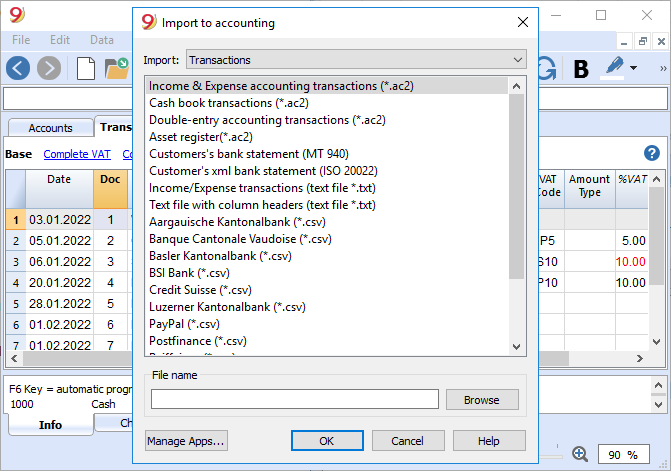 Banana Accounting improves your efficiency by helping you to easily import bank or credit card transactions and connect them to digital receipts. All our features are smoothly integrated and automated to minimize manual entry. Join us to upgrade your accounting! Manage recurring transactions successfully. Avoid the risk of manual entry and save more time. 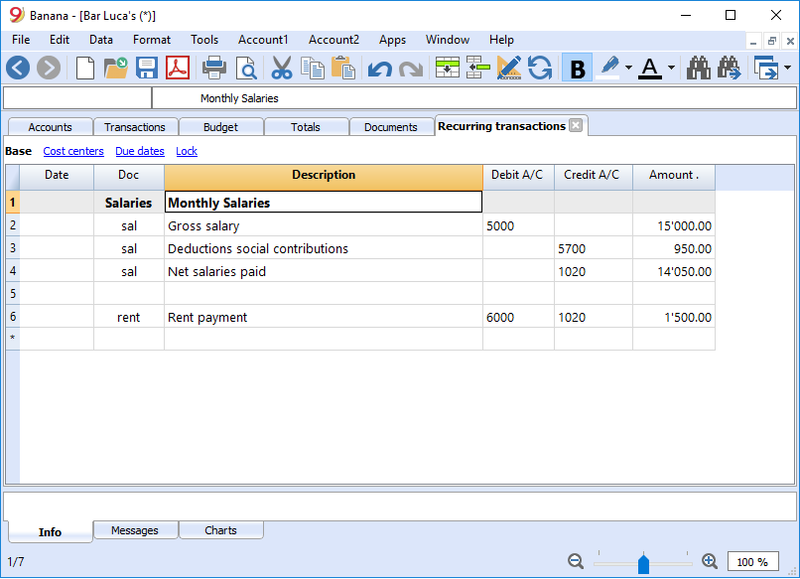 Track regular financial activities such as monthly bills, instalment payments or salaries. Allow Banana accounting to store and automate their registration into accounting. Use our user-friendly accounting software is specifically designed to quickly import your bank or card statements, then connect it with your financial records. All this will save you time while guaranteeing maximum data accuracy. 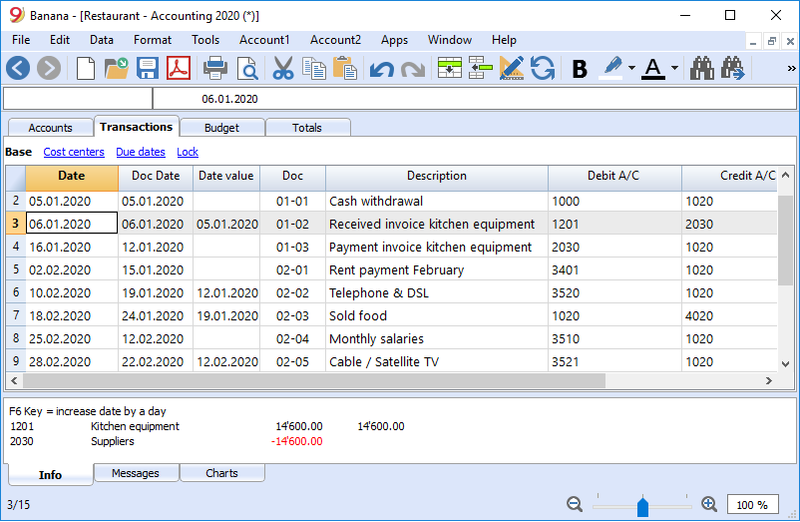 Design and implement your own numbering system for accounting records. From an unique progressive numbering to separate numbers for cash or banking transactions - whichever convention you prefer, Banana Accounting will help you put it in practice. In accounting, the word “date” is rarely alone. 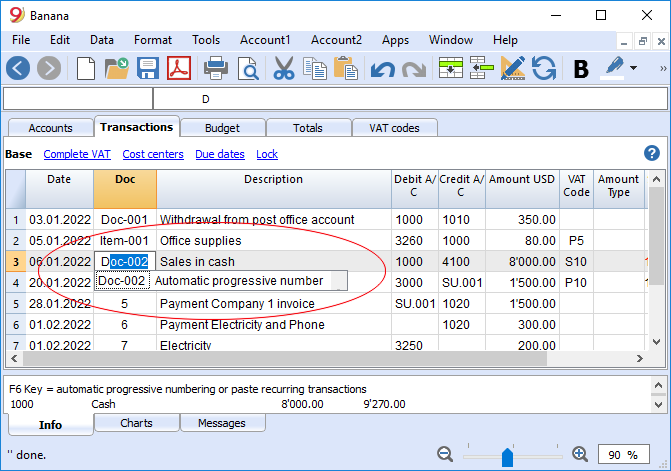 Our software already includes a wide range of “date” input types, such as “value date”, “due date” and “document date”. All you need to do is make your pick. 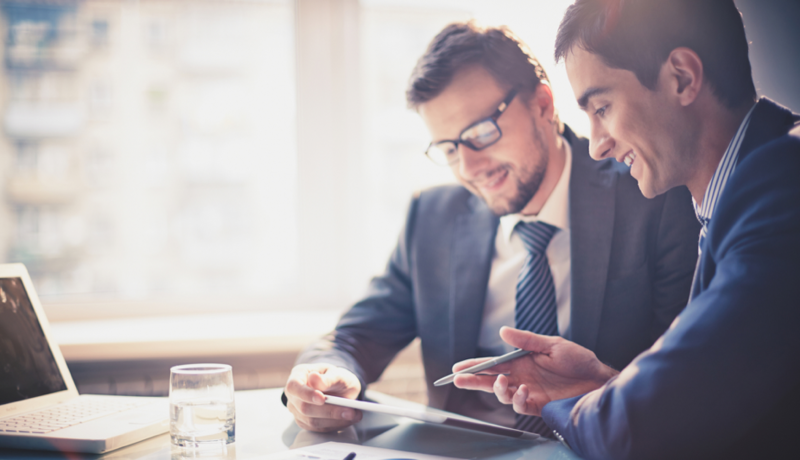 Take your accounting to the next level by electronically attaching supporting documents to financial records. 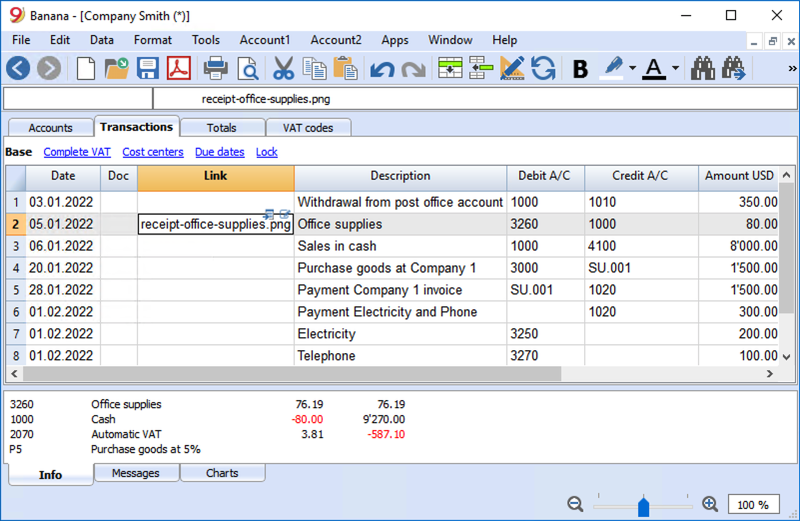 Receipts, invoices, and proofs of payment – view them as PDF with just a click. Back up the numbers with the relevant business files. A quick task, simplified by Banana Accounting for more transparency.